Bump, or whatever, too much to tell since the last update anyways, so check out this YouTube video (HD 720p) and see for yourself. yay!! i'm DEFINETLY gonna try this (once school's out). Re: System Animator: ANIMATE your desktop! I know this is a bump for an old thread, but this video is worth it. It demonstrates some of the NEW possibilities introduced in System Animator 5, such as using chroma-keyed videos (ie. transparent videos) with playback rate and such controlled by System Animator. 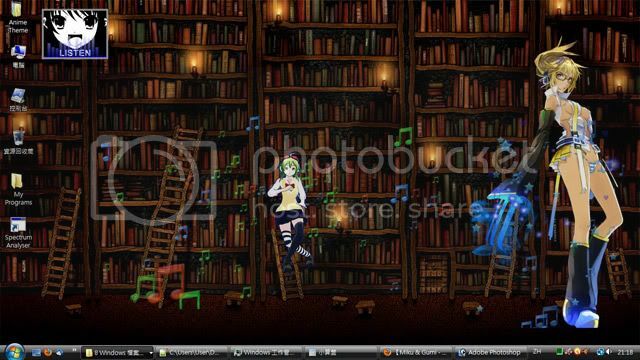 Imagine that you can have Miku or any OS mascot DANCING to whatever music you play on your desktop! i've been waiting for you to come back! also, is it possible to sync the dancing system meter to a music player besides the one shown? my preferred player is either VLC or FLELE (usually the latter) and i'd love to have them dancing to my music. Most System Animator animations are technically impossible to be ported to similar applications such as Rainmeter, simply because System Animator has some unique features not available in other desktop applications. Yeah I would like to make new skins for Anime calendar and clocks. I would appreciate if you can provide those stock pics and I will see what I can do. The new dancing video feature requires the music to be played directly inside the animation in order to do accurate beat sync. The animation can still react to external players (via Spectrum Analyser), but the working algorithm is different, and result is also (somewhat) different. also, i've uploaded a .rar file of the complete sets i have. i also have an almost complete set of moving catgirls as well, so i'll upload that when i have it. you might check out the booru project, since the various boorus' use different images for their numbering systems (though most use the ones i provided). Re: System Animator 8: OS-tans DANCING on your desktop! System Animator 8, years after the previous version, is finally released! Click the image above and watch System Animator 8 in ACTION! If you have been using the previous versions of System Animator, you will probably notice some fundamental changes. First, System Animator 8 is now a STANDALONE application, and no longer requires the obsolete Windows Gadget platform. This change allows System Animator 8 to run directly on Windows 10 and previous versions of Windows. Also note that System Animator 8 now runs in WebKit mode by default, which supports ALL advanced features of System Animator, as well as supporting REAL background transparency while maintaining GPU acceleration. Please note that I haven't really tested System Animator 8 on many computers, so issues and problems may occur on some systems. Let me know if you notice anything wrong. Also I still need some times to update the homepage of System Animator, and in the mean time some of the info and optional downloads over there may be outdated/missing. Let me know if you notice anything that requires immediate attentions. 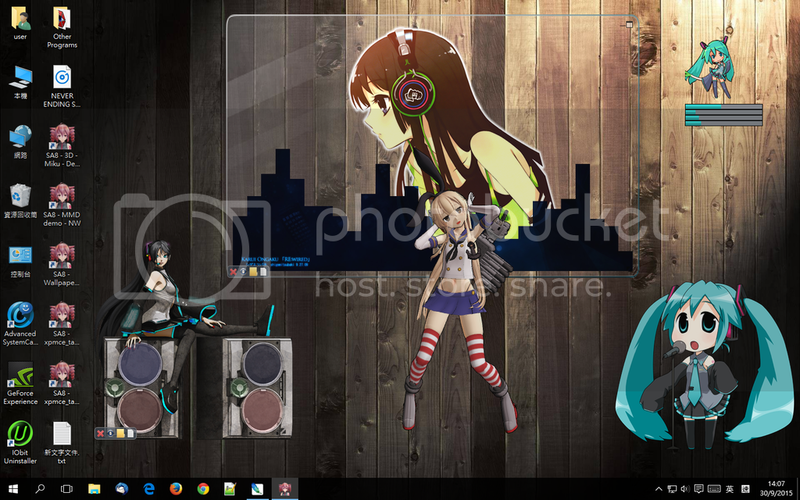 Re: System Animator 8: OS-tans and Anime cuties DANCING on your desktop! wooow, half a decade later and here we are! loving it!!! 2. have you considered porting these over to rainmeter? 3. are you going to give the same treatment to your other gadgets? 1. All previous animations are supported. 2. Simple answer: impossible. 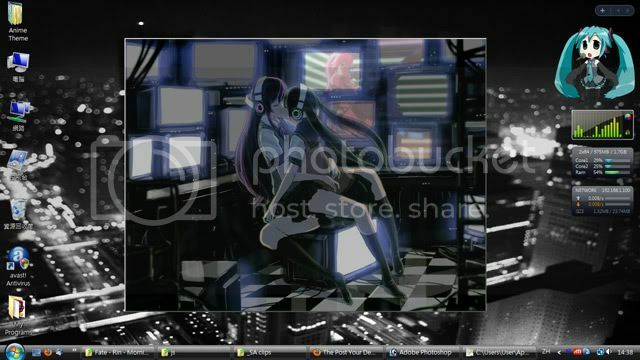 One of the purpose of System Animator is to do new things NOT possible on other gadget platforms, such as rainmeter. System Animator 8 focuses on 3D animations, while most gadget platforms are still 2D-based. 3. Seriously, those old gadgets on the same page, which were mostly small and "experimental" projects even before System Animator was born, are already outdated. Most of them can be recreated on System Animator in some ways, so personally I see little to no point to renew them. Well, actually you can still download them and they still work, but they will just stick with the Windows Gadget platform, which means Vista and 7.
damn. i have a shitload of backgrounds for the clock gadget but it screws with the memory to leave gadgets open on this thing. well, thanks for the answers. got a download link? i'll give it a shot (but i'm not expecting the best, this thing crashes if i sneeze on it). You can do similar things like clock gadget on System Animator, even with animations on the background.